With summer just around the corner we are coming into prime tropical fruit season, one of my favourite times of year. No better way to start the day then a bowl of delicious fresh tropical fruit salad. But why stop at fruit salad. I mean, one can only eat so much fruit salad, right? 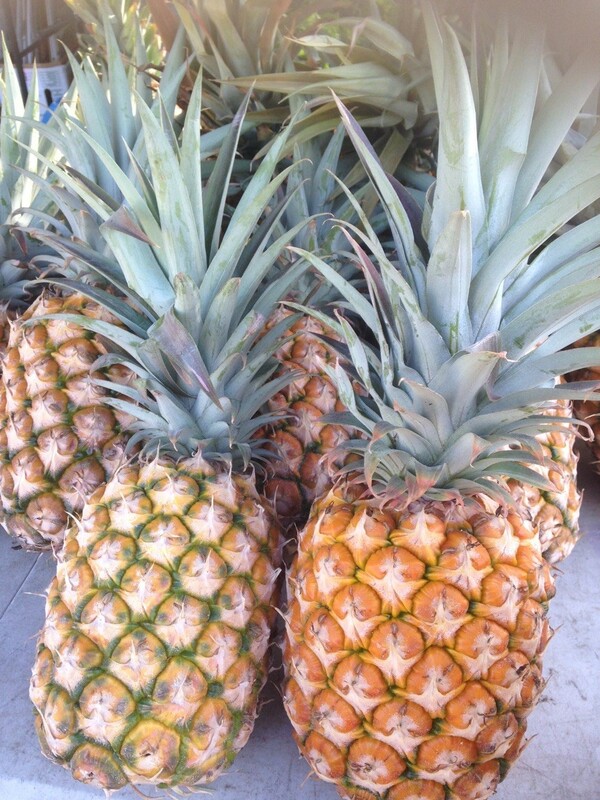 Over the coming weeks I will be checking out what’s available at our amazing Prickly Pineapple, our local fruit and vegie supplier, and the local market and bring some ideas to you with recipes and fun funky fact sheets. Looking outside the box, making it a bit different. As I have said before this is one little piggy who loves to go to market, so watch this space for some new ideas with the seasonal produce. So in honour of Jamie, Jen and the team at Prickly Pineapple let’s start with this amazing sweet juicy fruit. a dipping sauce on the side, heaven. Smokey potato pineapple goodness. Roughly chop onion and slice garlic. Sautee in olive oil till transparent. Place cooled onion mix and all other ingredients I food processor and blend till combined. Mexican salsa is summer. Salsa is summer. This is a taste of summer. A touch of sweetness, touch of chilli and refreshing lime and fragrant coriander. Goes with seafood, chicken and pork. Pop in your next taco. My delight is on some sour dough toast with smashed avocado, breakfast done! Make sure onion, tomato and pineapple are diced the same. Stir through mince garlic, chopped coriander. Season with salt and pepper to taste. If too tart for your liking stir through 1 teaspoon caster sugar. Let sit for flavours to blend and sugar to dissolve. My take on making your next garden salad zing. Divine topped with crispy pancetta. Drizzle over any salad were you would normally use a vinaigrette. Heirloom tomatoes, bocconcini and sautéed pepperoni is a bloody winner. Place pineapple, mustard, vinegar, garlic and honey in food processor. Blend together and slowly add oil. Pulse in chopped parsley and ready to go.